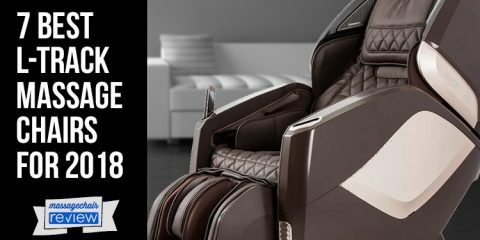 Osaki has just released the Osaki Os-7200H Massage Chair which is currently available for purchase. 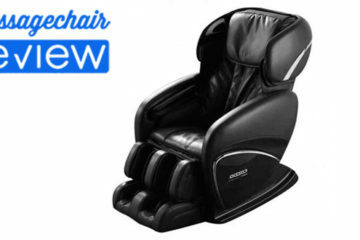 This chair is identical to the Osaki OS-6000 in every way except they have added heat to the middle and lower back areas. 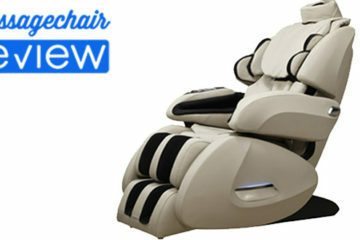 For many massage chair users heat is essential and this is a major upgrade to an already great chair. 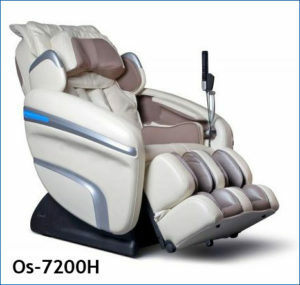 The Osaki OS-7200H is designed with S-Track rolling technology. 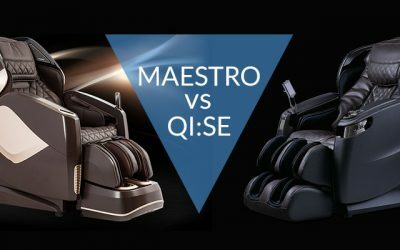 Instead of having a linear track like many massage chairs, this massage chair uses an S-track that allows the quad rollers to follow the natural s-curve of the human spine. This provides better support to your neck, back and lower lumbar area and an overall much better experience. There is a quad roller system with extra soft rollers that mimic the feel of human thumbs and fingers that enhance the massage experience. The width of the rollers also can be adjusted to suit the individual needs of each user. The most notable feature is the new 3D Roller Technology. 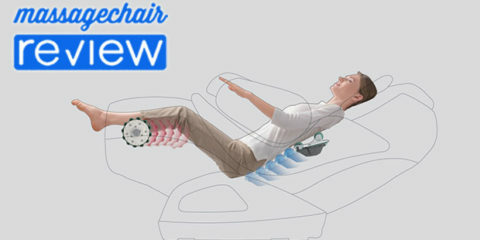 This is the newest roller technology in any massage chair today. The new 3D Rollers can not only go up and down and side to side, but it also can push in and out up to 2” in depth. This means that the rollers have the ability to give a deeper massage a complete massage. The Osaki OS-7200H has a 31” roller stroke which is 1” longer than the Osaki OS-4000. The longer the roller stroke, the further the rollers can go up your neck and down your back. 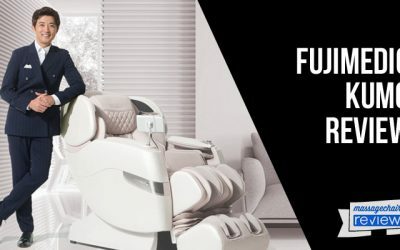 This massage chair can comfortably massage a user in between the heights of 5’2” to 6’5”. The automatic body scan technology has updated 3D optical scanners that roll up and down your spine. This measures the height and weight of your body and scales of massage areas to match your exact size and shape. The 3D optical scanners are able to do a 3D body scan which allows it to determine where your pressure points are more accurately. The Osaki OS-7200H also comes equipped with an Auto Leg Scan that is capable of making adjustments to your height. This will ensure that the air bags are concentrating on the correct muscle areas. The zero gravity position is when your knees are or raised above the heart. This puts you at a state of weightlessness reducing the strain of gravity on your vertebrae relieving discomfort in your back. Zero Gravity can also improve circulation and reduces your heart rate putting you in a better state of relaxation. 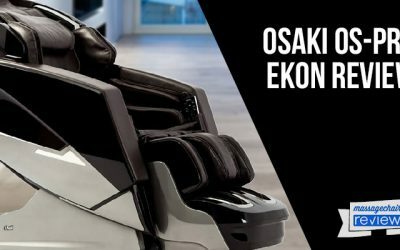 The Osaki OS-7200H has two zero gravity positions which automatically recline with just a touch of a button. There is a large selection of both auto and manual programs. There are four massage types: Kneading, Rolling, Tapping, and Clapping. 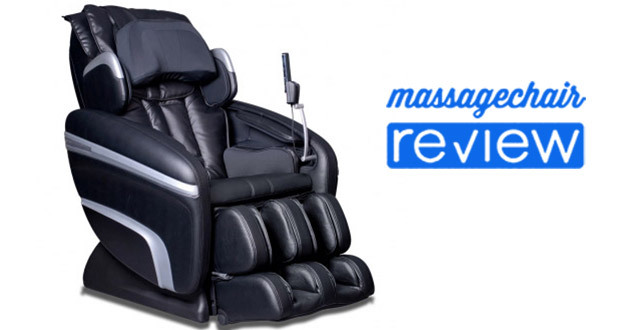 There is also some additional massage styles as well: Shiatsu, Swedish, Vibration, Pulse, and Air Massage. There are 9 automatic programs that start at a touch of a button. These include 6 full body massage presets: Wake Up, Recovery, Muscle Relief, Anti-Stress, Stretching, Full Air, and Quick. There are also 2 localized automatic programs that focus on the Lower Body and Upper Body. With 5 levels of airbag intensity and 5 levels of speed to customize, there is a comfort level for everyone out there. The “spot” feature allows you to focus on exact spot for direct relief or even concentrate on a zone. The Osaki OS-7200H is equipped with 51 airbags, which is more than the Osaki OS-4000. The extra airbags are located in the new head piece and are used for the neck squeeze as well as the neck traction function. This is a great improvement over the Osaki OS-4000. The airbags gently compress your arms, legs, calves, feet, and hips while applying rhythmic compressions that will help to increase blood circulation. 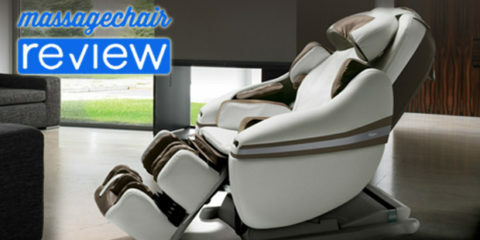 The Osaki OS-7200H has 2 sets of airbags located on the sides of the seat for hip compression. The airbags will inflate and deflate squeezing inwards massaging thighs and hips. Airbags are located around the outer shoulders and are designed to give a squeezing compression massage. There are also 2 air bags along the side of the neck to help loosen neck tension. The shoulder and neck massage really compliment the back rollers to give a fantastic deep massage. Multiple airbags are located along the sides and back of the legs and feet to apply a soothing compression massage. On the bottom of the foot massager are pressure point balls that will give you a very concentrated localized spot massage. Multiple airbags are located on the top and bottom of the arm rests that inflate to apply a compression massage along the forearms, hands, and wrist. This helps to compliment the other regions for a full total body massage. The Osaki OS-7200H comes equipped with a connection for your favorite MP3 player which is located right behind the remote is a storage compartment. 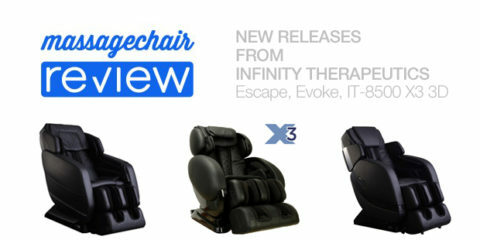 Play your favorite soothing music from your device directly to the chair through quality compact speakers. 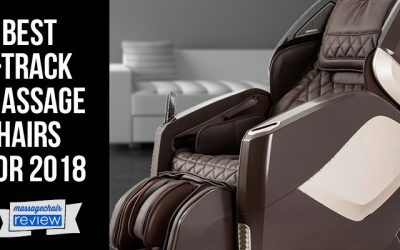 The Osaki OS-7200H massage chair retails for $3,795. 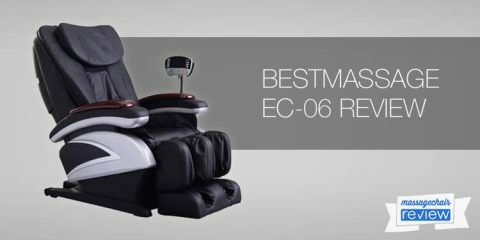 You will not find many massage chairs at this price that offers the same quality and features as this. 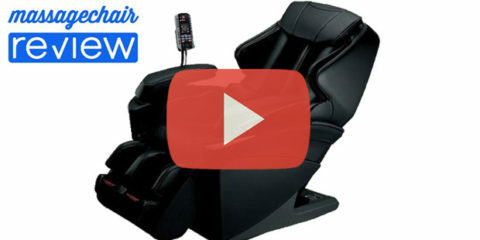 Make sure to check out the full line Osaki Massage Chair at Emassagechair.com. Please make sure to comment or leave a review below. 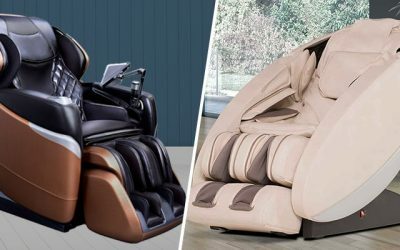 Also, stop by and check out the Osaki Massage Chair comparison chart to see the side by side differences of the features.